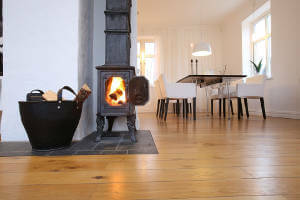 For a safe fireplace and stove it is important to get yours checked by a professional on a regular basis. Most installation companies will issue reminders to their customers and ours should have received theirs by now. However, it is still important to keep an eye on things yourself so that you can identify any changes or problems should they occur as early as possible. We have put together a short checklist for you to help you get to know the ins and outs of your fireplace or stove and be ready to tackle any potential problems long before they escalate. Chimney. Check for any bricks that may be damaged or loose. Is the chimney leaning to one side? Is the chimney cap well fitted or is it loose and moving around? You want it to be fit tightly so that it does not get damaged by high winds or allow water in when it rains. It is a highly combustible substance that will build up over time as fireplace and stove temperatures are not typically high enough to push all combustible gases up the chimney, so it will need to be removed. Flashing.You want to make sure it is intact and there are no gaps or cracks in it. It is also worth checking and replacing batteries if necessary in your smoke detectors and/or carbon dioxide alarms and that if you have any fire blankets or fire extinguishers that they are still current, easy to access, and that everyone in the house knows how to use them.